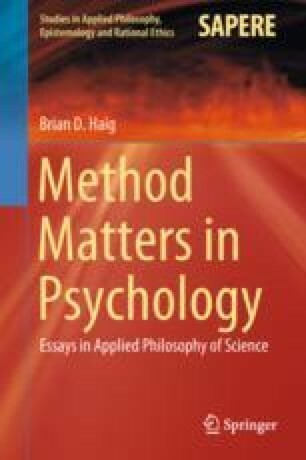 This chapter presents a framework for clinical reasoning and case formulation that is largely based on the abductive theory of scientific method presented in chapter three. Clinical reasoning has traditionally been understood in terms of the hypothetico-deductive method. Occasionally, Bayesian methods have been used as a resource. However, it is suggested that clinical psychology requires an organizing framework that goes beyond the strictures of these two methods and characterizes the full range of reasoning processes involved in the description, understanding, and formulation of the difficulties presented by clients. In the abductive theory of method, the processes of phenomena detection and theory construction are articulated and combined. Both of these processes are applied to clinical reasoning and case formulation, and a running case example is provided to illustrate the application.